After last years successful re-scoring of the Dutch, slasher classic movie ‘Amsterdamned‘, Paradiso have once again asked us to take part in Rocket Cinema! This year we will be re-scoring and editing George Romero’s 1968, groundbreaking classic ‘The Night of the Living Dead’. This is possibly the first EVER zombie movie and we’re throwing out the old “traditional Horror’ soundtrack and replacing it with a ‘Sixties-Garage-Psychedelic-Rock‘ score (If only they’d done that in the first place, eh??). It takes place, suitably, on Friday 31st October (Halloween) and is located in the fantastic new Paradiso venue on the north side of the IJ: Tolhuistuin. The film starts at 2030 and directly afterwards (at 2200) the afterparty starts! This is ‘The Halloween Hairball’ and is , of course, STRICTLY FANCY DRESS so come in your best monster/ zombie outfit! All the details can be found on the flyer and check out our trailer for ‘The Night of the Living Dead‘! TICKETS FOR ‘NIGHT OF THE LIVING DEAD’ INCLUDE ENTRANCE TO ‘THE HALLOWEEN HAIRBALL’ AFTERPARTY!!! Hot weather, fun and audio/visual frolics were had! Our August set in the main-room of Razzmatazz (Barcelona) was rocking! The third year in a row proved that this is the ‘place-to-be’ for audio/visual mash-up purveyors! We took it on a more Rock/Electro journey than the previous months ‘House/Tech-House’ sound in Amsterdam’s music temple: Paradiso. Truly an inspirational club, city and vibe! ‘Massive Music’s round-up film for Heineken during the Milan Design Week. International beer brand Heineken® have invited The Smoke Eaters to perform a 4 night residency at “The Club of the Future” during Milan’s Design week 9-13th April . The Magazzini, an exciting new collaborative space at this year’s Milan Design Week, provides emerging designers with a platform for exposure. 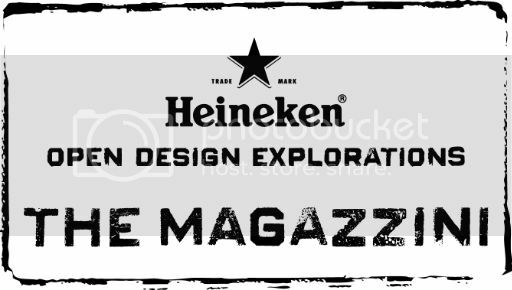 Visitors to The Magazzini can expect to experience a showcase of design talent and educational workshops by day and a design-led party space at night curated and programmed by Heineken International’s music agency Massive Music. Each night features a live 1 hour audiovisual mash up mix by The Smoke Eaters. A spectacular outdoor installation will be created by Matt W Moore who will also reveals his design for the new Heineken STR bottle. Set-times should begin at 9pm each night so make sure not to miss it! This is the opening scene from our 30 minute re-interpretation, and re-edit, of Victor Hugo’s “The Hunchback of Notre Dame”. It was made for the 2012 edition of Amsterdam’s ‘Museum Night’ and screened in the beautiful Gothic setting of ‘De Oude Kerk’ (The Old Church) in the heart of the city. The aim was to create a contemporary (shortened) version of the classic story using the different films available. The earliest dates back to 1923! We hoped that, whilst viewing our re-edit in its entirety, the audience would forget the cutting between different films and be forced to re-examine the story in a different light. All music and film used has been sampled. We saw this as ‘Pop Art’, redefining cinematic history in an alternative context. We felt it would be insulting to the original film makers if we did not include all the versions that we could find. Therefore, we do not see this as copyright infringement, but as an artistic endeavour designed purely to entertain…. This ‘opening scene’ is completely soundtrack driven (later on the movie settles more into a narrative style, although still relying heavily on its soundtrack ).